The preferred FBO service facility of both pilots and passengers. Paris Air charters operate throughout the South Eastern United States, Caribbean and Bahamas. You have a passion for aviation and dreams of your own. 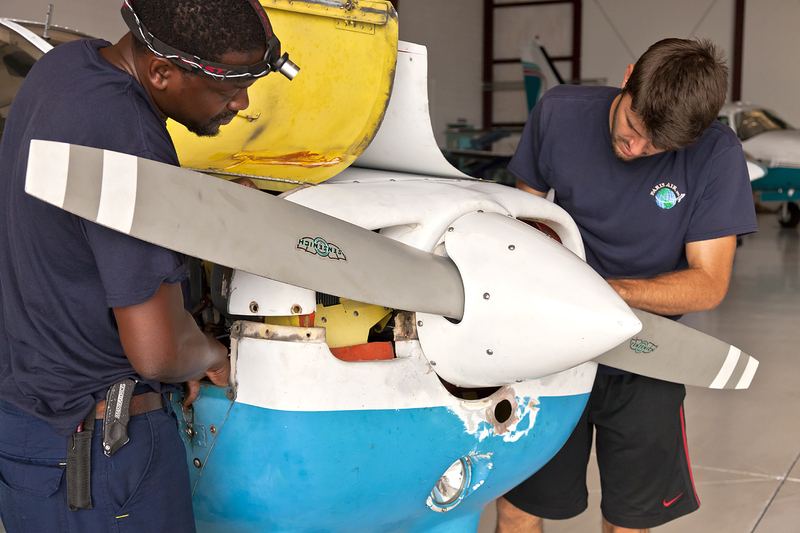 We share that passion for flight, and we are here to help make your dreams become a reality! 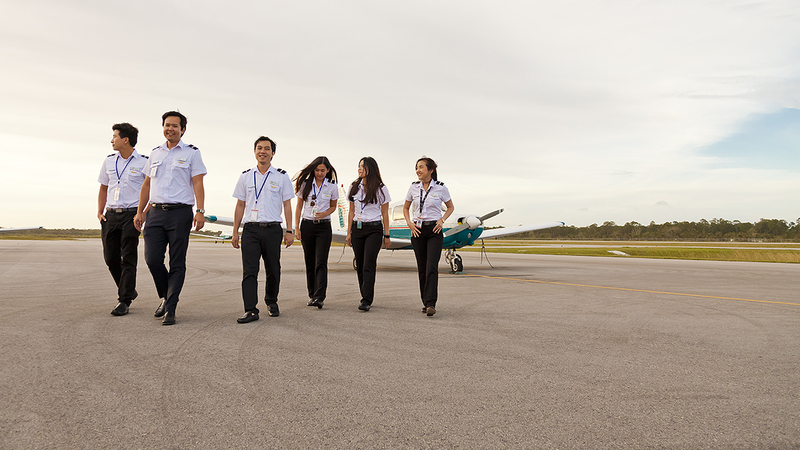 We are Paris Air, Inc. and we offer the location, aircraft, talent and experience to make your dreams take wing. Success means more than just being the best... It means exceeding the highest level of competency and safety in the sky. When you are ready to fulfill your dreams, Paris Air is here to help you make the world a smaller place. At Paris Air, Inc., not even the sky is the limit. Learn how to become a pilot with Paris Air flying lessons. We can assist your with your private pilot license as well as commercial pilot training so you can start down the path of becoming an airline pilot. 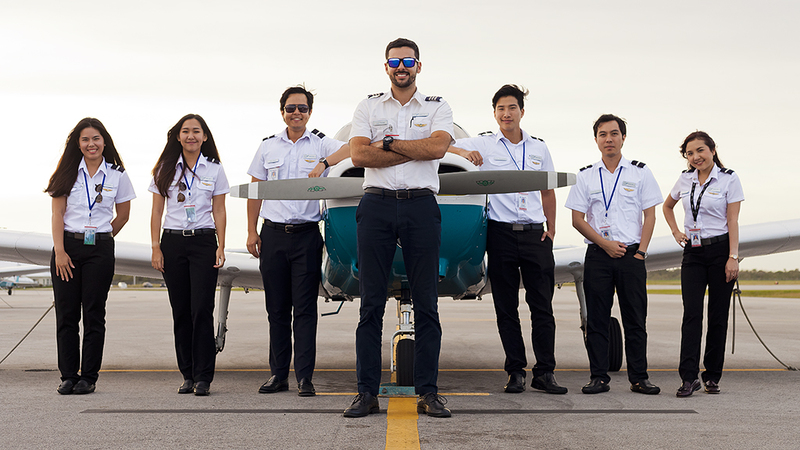 Pilot schools or aviation schools like Paris Air are the best places for becoming a pilot and learning about aviation courses like how to fly a helicopter. Located in Vero Beach Florida, we want to help you fly. Whether you are looking for flight lessons such as helicopter lessons and airplane pilot training, or you are interested in charters to Bahamas, give us a call and let us get you in the air. Paris Air, Inc. is committed to exceeding your expectations while still offering an excellent value. Our professional service and personal instruction are second to none. We offer initial and advanced pilot training, charter planning, line services and aircraft maintenance/storage. Paris Air instructors have been educating pilots in single and multi-engine career courses as well as helicopter courses since 1988. Our graduates currently fly professionally and privately for some of the most prestigious airlines and companies in the world. With a superbly maintained, well equipped fleet of Piper and Cessna aircraft, several Piper Chieftains, and a Schweizer 300CBi, we are more than capable of providing pilot training for single-engine , multi-engine airplanes and helicopters. The experience. The aircraft. The talent. The location. All good reasons to direct your career flight plan to Paris Air. Our students are driven towards success and have the ability to translate theory into practice. Paris Air seeks goal-oriented students with leadership skills that can be applied at the next level. Read what actual students and clients are saying about our Flight Training, FBO, and Charter Services. I would like to thank Paris and all of the staff there, Paris Air was one of the best moments I spent with them. It's not just a flight school but it's a big family as well. 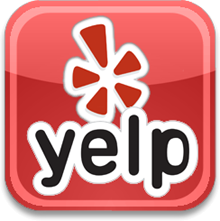 The owner and the staff are very friendly and they helped me a lot in my journey there until I graduated. THIS FLIGHT SCHOOL IS RECOMMENDED! Paris Air gave me the experience, knowledge and the leadership skills to become a better pilot. From Paris’s family and all the staff at Paris air, I gathered only good memories. I was married by Paris himself, and some of the staff are still my friends. This is a school where you are really taken care of like an extended family. Along with world class flight training the safety of each student is of the utmost importance at Paris Air. Paris Air is very efficient at what they do. Everything was ready at my arrival. Great service. Customer service is great. The person who got my call made a reservation for my hotel and car at a discount rate. They had all my reservations ready for me. It was a breeze! I transferred to Paris Air from another school. I was a little cautious because of the bad experience in the previous school; however, I completed my training in no time and with no hassles. I am sorry I didn't enroll in Paris Air in the first place! I was pleasantly surprised by Paris Air housing. It is so clean and spacious. Every student has his own room and the housing is five minutes away from the school. I see that Paris Air takes pride in the school and in the training they provide. It is easy to make friends at Paris Air. Everybody is so friendly. I appreciate the fact that the instructors teach one student at a time. The planes are always clean and in good condition. The school has a warm, welcoming feeling. I am currently in the Commercial Pilot Course at Paris Air. I completed my private and instrument ratings in four months. 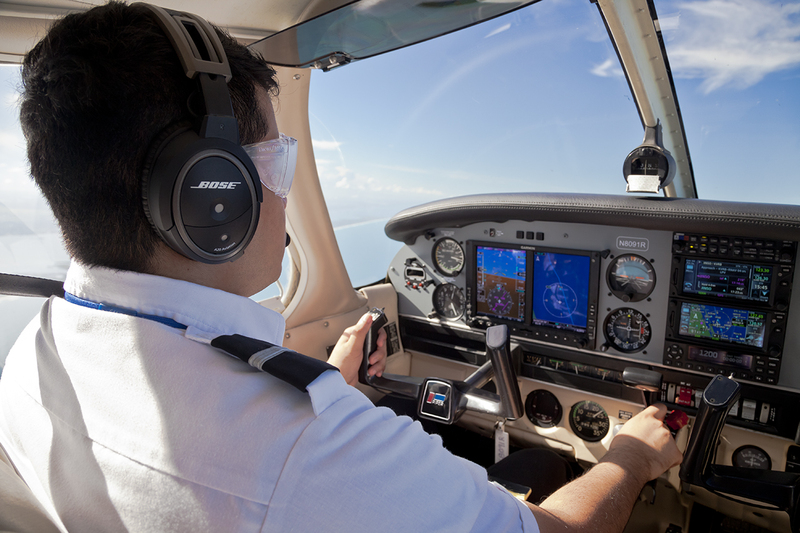 The ground school is taught one-on-one, which is unique from other flight schools. I have found that all of the instructors go out of their way to be helpful. If you want to choose a flight school, do not hesitate to join Paris Air. I have been in several schools, but Paris Air is the first school where the students don't have any complaints. It feels like a family. We are so thankful for the kindness shown to the students, especially to our son. I was planning to be in Vero Beach for a few days and chose Paris Air based only on fuel prices. It was a VERY wise choice. I called 4 hours in advance asking about fuel, tie-down, rental cars, etc., and I was informed that my selected hotel provided a shuttle service so a rental car wouldn't be necessary if I only was going to the hotel. Upon arrival, Line Service met me at the taxiway with the "Follow Me" cart and directed me to a convenient parking position. Alvin helped me with my bags, etc., and then drove me to the front office. I was pleased to learn that Jennifer had taken it upon herself to call my hotel to confirm my arrival and she even negotiated a cheaper rate for me! There is only a 20 cent per gallon difference between self-serve and full-serve fuel, so I saved the engine start and short taxi to the fuel farm by letting them fuel my BD-4. All in all, a very pleasant experience. I'll be back and I'll recommend Paris Air to anyone who asks. Flying in from the Northeast, I was delayed 4+ hours for snow removal at my airport. That put me into VRB at 8 pm instead of 4:30 pm. When I arrived, my rental car was on the ramp with Alvin and Jennifer both waiting for me, and I don't fly big iron, but a fuel-stingy Mooney. It doesn't come better than this. I've used Paris Air for a few years now and I'm always impressed by their extra effort. Try them - you won't be disappointed! Great vibes, service, and probably the friendliest CSR that I've yet to meet. I flew in, in a 152 for a few hours, was treated very well and had no complaints.